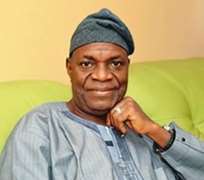 Former Secretary to Osun Government, Alhaji Fatai Akinbade, emerged the governorship candidate of the Labour Party (LP) at the party's congress in Osogbo on Friday. Callistus Okafor, the party's national vice chairman, who conducted the primaries, said that of the five aspirants that obtained forms for the primaries, only Akinbade returned his own. Okafor called for affirmation of the lone candidate and the congress responded with a deafening voice vote. NAN recalls that Akinbade, who was hitherto a chieftain of the Peoples Democratic Party (PDP), defected to the LP in efforts to realise his governorship ambition. Responding, Akinbade charged other governorship candidates to avoid bitterness and use of uncouth language, as well as eschew violence in their campaigns. He listed the party's programmes to include mechanised agriculture, industrialisation, integrated rural development, improved infrastructure and restoration of the middle class. Other programmes are human capital development, water supply and sanitation as well as building of egalitarian society through welfare programmes. The occasion, which was attended by representatives of the Independent National Electoral Commission, was hitch-free. Scores of party members and supporters from the state's 30 local government areas attended the event.